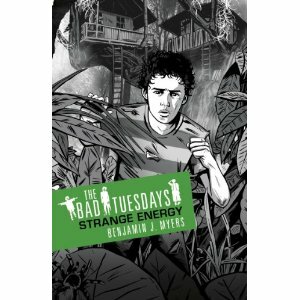 Strange Energy is the second book in the Bad Tuesdays horror series and it grips from the first page, not wasting too much time on what went on in the previous book. Just as well, as you’d never believe the three kids Chess and her brothers Box and the spiteful Splinter could have survived. But they have and now Ethel, from the secret committee wants them to surrender to the Fat Gobster and find out what happens to the thousands of kids who have disappeared. They want to know what exactly are they doing with the kids and you know it isn’t going to be pretty. Chess is eleven and bullied by her evil thief rat brother Splinter, who has no redeeming characteristics whatsoever and sometimes she is supported by Box the pudgy middle one, but then again, he too is dominated by Splinter. In book one they are street rats, homeless, living the best they can in wharves with other criminals and stealing to stay alive. Their skills as thieves are harnessed by the Committee who alone wage a war again the alien Twisted Symmetry and seek to save mankind. Having survived two adventures, this is their riskiest task yet and Splinter wonders why they do it, they have so little to gain. Ethel and the others of the Committee try to appeal to their better natures, but Chess knows they have to try and save the kids who have been hoovered up and lost to gods knows where. Splinter doesn’t want to but they have no choice it seems. Splinter resents Chess. He knows there something special about her and he wants to be special too. Box just wants to eat mostly. Nevertheless they allow themselves to be scooped up and they arrived on a distant planet with two suns in a far off galaxy landing hard on hot desert and then bundled on a train with hundreds of other kids that is going towards a volcano. Splinter and Box are unessarily unpleasant to the cowering kids in the train with them and because of them Chess is almost beaten to a pulp. The one common theme of these stories is their constant squabbling and sheer stupidity in the face of danger. Spinter things he’s too clever for his other siblings but he goes out his way to make everyone despise him. This is the story where Chess discovers more about her talents, one of which is to cause spontaneous combustion and the relationship with Splinter finally comes to an ugly head. Here in this remote place they also meet Balthazar who saves Box and hides them all in his spectacular tree house. He is a lonely man who has been imprisoned by the 5 Judges on this remote planet for 500 years already and with another 500 years to go for a crime he committed long ago. There are talking lizards who wish to fight the Twisted Symmetry and their dog troupers, half men, half dogs led by the shape shifting General. The Jungle is full of plants that stalk you and crush you to death. You wouldn’t want to picnic there, that’s for sure. Benjamin Meyers has kept up the pace and the whole series is clearly ripe for TV. Your parents probably wouldn’t approve of thieves as heroes, but the fate of the world rests on their young shoulders and they have no choice but to find a way in and try to save the screaming kids. Now read Book 3: Blood Alchemy where Chess is separated from Box and Splinter and must fight the Twisted Symmetry alone.